The first Shi’a family from Uganda arrived in Minneapolis in 1972. The Walji family, like many other Asian families, was forced out of Uganda during the rule of Idi Amin. The Waljis were sponsored by a collection of churches from the Twin Cities. When they got here, there was only one other African Shi’a living in the area. They began to gather at the home of Hussein Walji, a mullah, to observe religious occasions. Both Sunnis and Shi’as attended the services. The Shi’a community was organized under the name Khoja Shi’a Ithna Aheri of Minnesota. Two women, Marhuma Fatimabai Walji and Marhuma Fatimabai Baga, are remembered as being instrumental in organizing these early gatherings. As the community grew, they began to meet at different houses in the area. 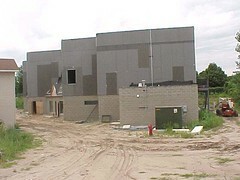 They grew to such an extent that they rented out the Mounds View Community Center. These gatherings brought together Shi’as of diverse backgrounds, including people from Iran, Iraq and Pakistan. 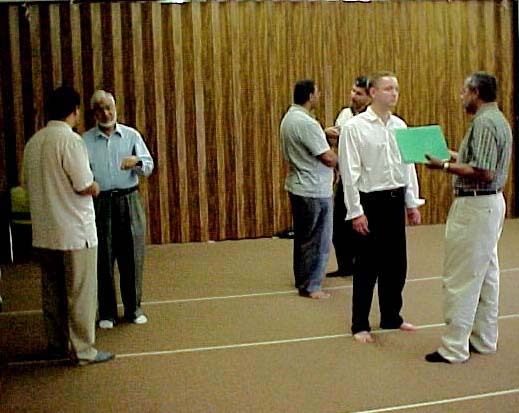 By 1988, the community had grown to such a size, about 15 families, that a Shi’a Islamic center was needed. With the help of the Shi’a World Federation and NASIMCO (North American Shi’a Islamic Communities), a plot of land was bought in Brooklyn Park, MN. 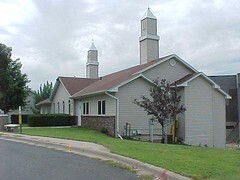 The Ja’afari Islamic center was built from the ground up. It was the first Islamic center built by African immigrants in the United States. The community that gathers there now was registered in the state of Minnesota as Anjuman-e-Asghari (Little Community). 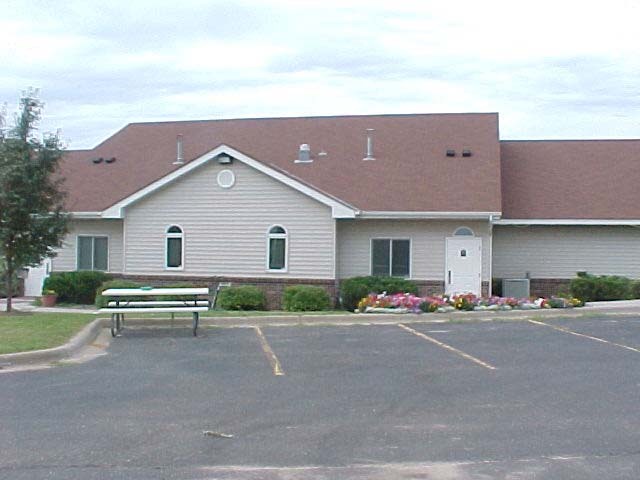 After the opening of the center in 1989, the community grew rapidly. In 1996 they added a building for Madressah classes. 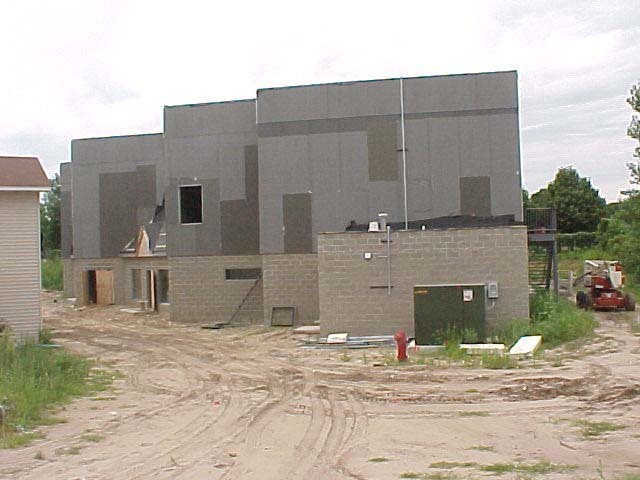 In 2002 they began constructing a multipurpose building for sports and other activities. 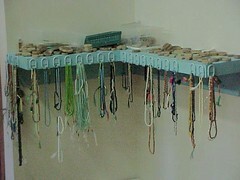 As of 2002, the community has a membership of over 300 people, including 110 families. Elected officials govern the center. Currently Shabir Karim serves as president, Mohamed Remtula as Vice President and Mohsin Kassam as secretary. The center also has a treasurer, building administrator, auditor, chairlady and trustees. 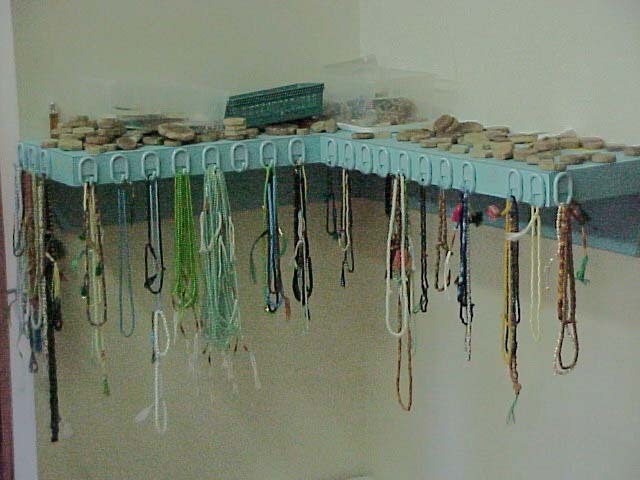 Anjuman-e-Asghari has relationships with other communities of faith in the area, and with the global Shi’a community. Interfaith participation has been a part of the community since the very beginning. It was due to the generous sponsorship by a number of Christian Churches that the first East African families were able to come to Minnesota. In the early days, Hussein Walji talked with Christian congregations, educating them about his own faith. 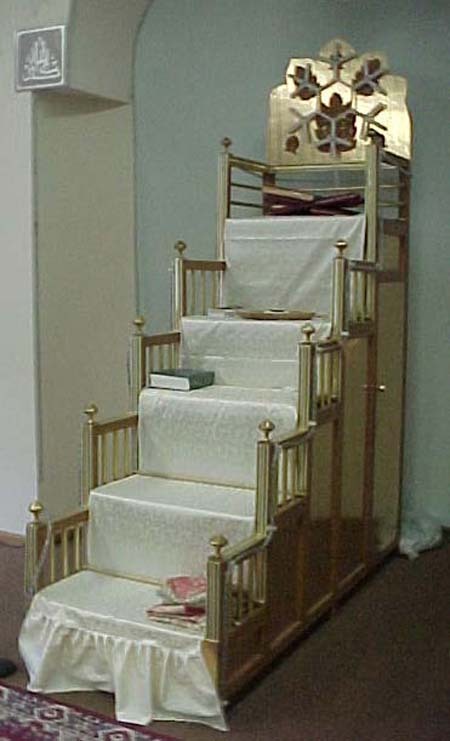 Recently (as of 2002), he was involved in a dialogue between Hindu’s, Jews and Christians, at Lapez Church in Medina, MN. Anjuman-e-Asghari also has a strong relationship with a Methodist church located close to their center. Anjuman-e-Asghari also maintains ties with the larger Shi’a community. They are regionally organized with other communities under NASIMCO. Globally, they are united under The Shi’a World Federation, of which Walji represents East African Shi’as in North America as an executive councilor. NASIMCO delegates, representing the many centers across North America, meet annually to hold elections and discuss humanitarian causes. Similarly, the World Federation, located in London, meets every two years. These organizations are not politically driven, but rather are organized to better serve the Muslim community and to teach Human values and ethics. They address issues of natural disaster, displaced families, and war. They also recognize the humanitarian accomplishments of their members. Anjuman-e-Asghari turns to the American Muslim Council in Washington D.C. for political concerns. Recently, the council helped Minnesota Muslims facing post 9-11 difficulties. One example of their activity surrounded the discussion in Minnesota over whether or not Muslim women should be forced to show their hair in drivers license photographs. The council helped to protect the right of Muslim women to cover themselves. 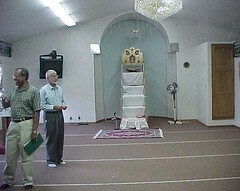 The Ja’afari Islamic Center holds weekly and annual gatherings. The three major festivals celebrated at the center are Id, Ashura, and the Prophet Mohamed’s Birthday. Id falls at the end of Ramadan. It is a time to generate new bonds with old friends. The first 12 days in the month of Muharam are a time to remember the death of The Holy Prophet’s grandson, Hussein, in his effort to protect the purity of the faith. The festival is characterized by preaching on the topics of character and human development. It reaches an apex on the 10th day (the day of Ashura) when everyone refrains from work and comes to the center to mourn Hussein’s death. The Prophet’s Birthday is a time to celebrate and gather as a community. The center also holds weekly gatherings. The two most notable are Shab-e-Jumuah on Thursday evenings and Salatul-Jumuah, Friday at noon. Thursday night activities include Namaz-e-maghribain, or evening prayer, recitation of the Koran, a short lecture, food and fellowship. Salatul-Jumuah includes a short lecture, salat, food and fellowship. Numerous other activities happen at the center, including celebrations, remembrances and events on the Islamic calendar. The two most notable life cycle events are weddings and funerals. Weddings begin with a large reception-like engagement party. The wedding itself lasts for three to four days. The diverse nature of the community’s heritage, namely cultural elements from India, Africa and the United States, help to create an eclectic ceremony. Traditional Indian hand painting is combined with American receptions and other African componants. Recitations from the Koran will also be heard. Depending on the ancestry of the particular couple, small cultural variations may occur. Funerals are also very highly regarded. In correlation with Islamic tradition, bodies are usually buried within 12 hours of death. The community has 100 burial plots, first purchased in 1987. Although there are some cultural variations, depending on the ancestry of the deceased, a common recitation is read at all funerals. Other occasions, including birthdays and anniversaries, are also observed.